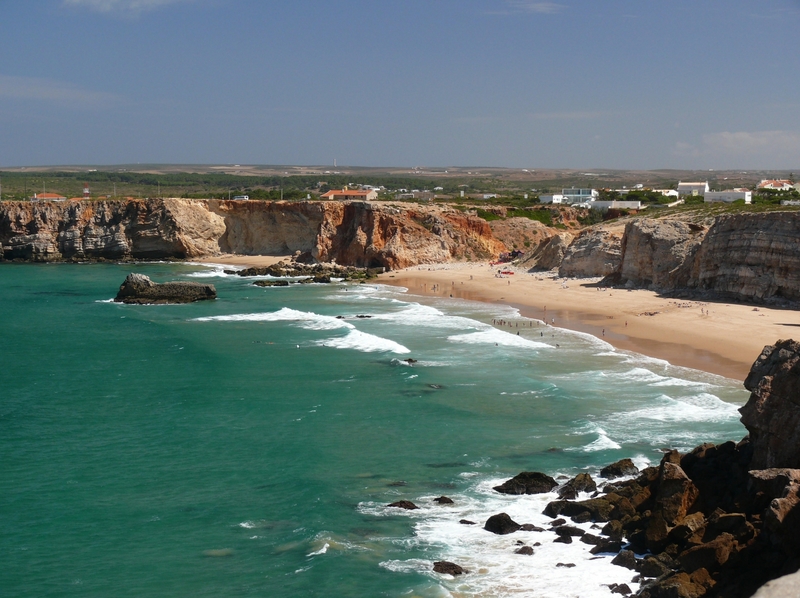 Praia do Tonel: Beach west of the Ponta de Sagres below the fortress. Beach west of the Ponta de Sagres below the fortress. Sagres Praia do Tonel - View from the Fortaleza de Sagres (Sagres Fortress) to the Praia do Tonel, espacially popular among surfers.